Melissa Townsend has read 9 of 40 books. As a busy mom, she initially found her escape in reading. It is just in the past few years that she’s found her passion and enjoyment of telling her own stories. Having never travelled or experienced much beyond the realm of country-living, Melissa finds herself taking journeys through an array of genres and different writing styles. Don’t let her quiet, small town, ordinary demeanor mislead you. Sit with her for very long and you will quickly discover her wit, dry sense of humor, and unique perception of the world around her. 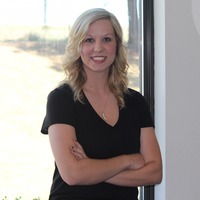 It’s these From a rural community in southern Oklahoma, Melissa Townsend is a married dental assistant with one child; and on the surface, the picture of today’s ordinary working wife and mother from Smalltown, U.S.A.
She has read 9 books toward her goal of 40 books. This book was fantastic. I loved the story-line and it was so well written. It kept my attention from page one until the very end. We’d love your help. Let us know what’s wrong with this preview of Verity by Colleen Hoover. We’d love your help. Let us know what’s wrong with this preview of After by Anna Todd. We’d love your help. Let us know what’s wrong with this preview of About Her by Kimberly Stedronsky Adams. We’d love your help. Let us know what’s wrong with this preview of Blue Bayou by Jiffy Kate. We’d love your help. Let us know what’s wrong with this preview of We Shouldn't by Vi Keeland. We’d love your help. Let us know what’s wrong with this preview of When August Ends by Penelope Ward. We’d love your help. Let us know what’s wrong with this preview of RoomHate by Penelope Ward. This was the perfect ending to a wonderful series. Just the closure we all needed. I loved it so much. We’d love your help. Let us know what’s wrong with this preview of What He Never Knew by Kandi Steiner.